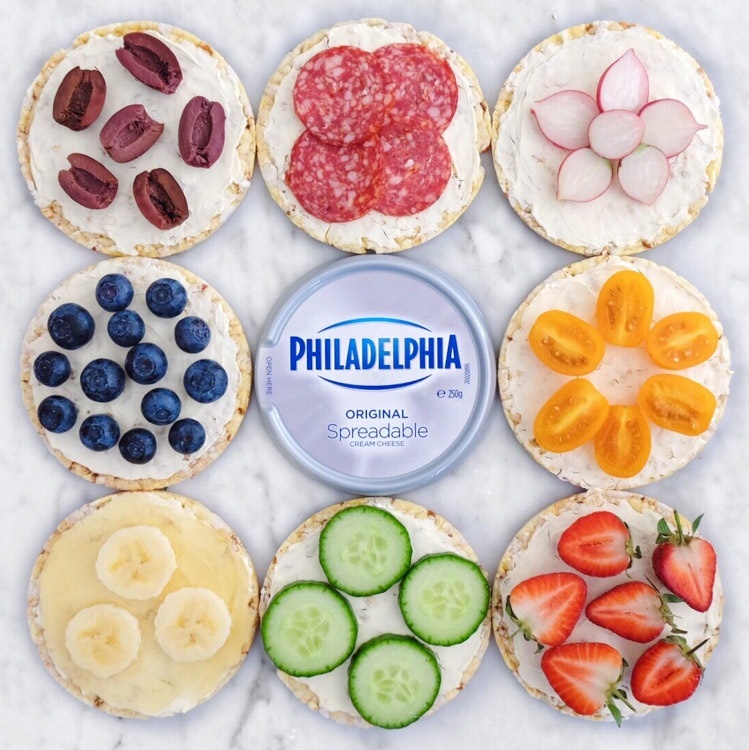 Show the inspirational ways you use Philedelphia cream cheese for snacking occasions! Showcase Original Spreadable and Snack Tubs in a modern food-culture environment – think Philadelphia on a bagel as an afternoon snack, a quick Philly hit after your gym workout, or social snacking with friends and family. adelineer_ Love cream cheese and salmon! ballerina_and_lola Yum I love salmon and philly!